Gareth and his crew eat tainted BobBQ. Gabriel confesses to what he did, which was not all that bad. Gareth attacks the church only to be foiled by Rick. 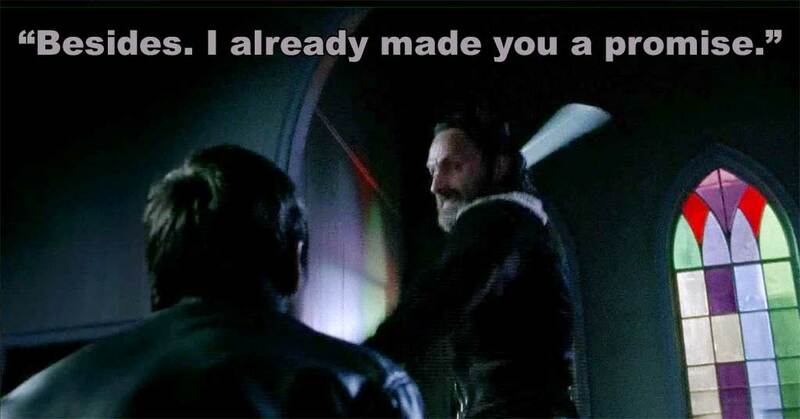 Rick keeps his promise to Gareth and uses the red handled machete. Glenn, Maggie and Tara join Abraham on the trip to Washington while leaving the rest behind. We are left with a cliffhanger ending where we see Daryl's return but who is with him? Listen to the end to hear about our trip to Woodbury and both zombie tours we took while in Atlanta. Like our show? Rate us on iTunes. It helps us grow our audience and get noticed.